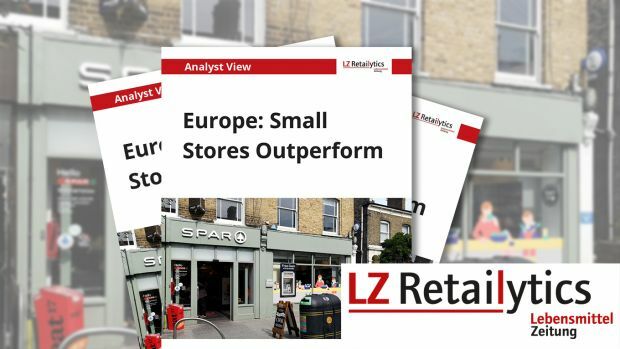 The smaller the grocery store, the faster it will grow, LZ Retailytics’ forecast for Europe shows. Our LZ Retailytics forecasts across all European full-assortment grocery markets show that the smaller the format, the faster it will grow. Thus, small minimarkets are set to grow faster than large minimarkets, followed by small supermarkets, medium sized supermarkets, large supermarkets and so on. The development is explained by a higher store expansion rate together with higher like-for-like sales growth for the smaller formats. It shows an increasing preference for smaller store sizes in Europe overall and indicates a growing popularity for proximity shopping. Meanwhile, big boxes are reducing their sales areas, store networks and expansion rates.